Down and dirty recipe for my unstuffed cabbage. Trim off the out leaves of a green cabbage, quarter it and remove the core. Take sections of the outer leaves (boats?) and lay them in a casserole. Mix ground meat (turkey or lean beef) with cooked or raw parboiled rice, your favorite seasonings, and an egg or two. Plop spoonfuls of the meat mixture onto the cabbage boats. Chop of the rest of the cabbage and place on top of the meat. Drain one can diced or stewed tomatoes and combine with a 28 oz can crushed tomatoes (or sauce), 1 T cider vinegar and 1 T brown sugar. Pour over the casserole. Bake at 350º F uncovered approx. 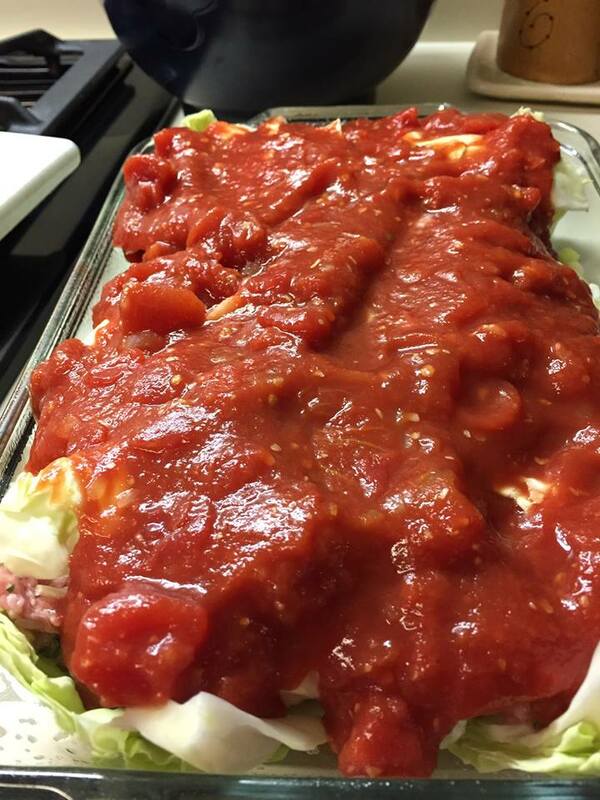 1 hour or until cabbage is tender and meat reaches 180º F. Let sit for 15 minutes before serving.